A&M Clubs from Coast to Coast! 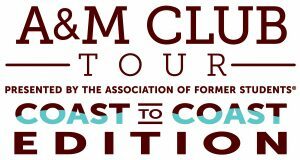 With A&M playing football from sea to shining sea this year, The Association’s Club Programs coordinators are taking the opportunity to visit nearly 50 A&M Clubs along the way as they bring Midnight Yell Practice and the free All-Aggie Tailgate to every away game! Share your pics by tagging us or using the hashtag #ClubsCoastToCoast! Howdy! 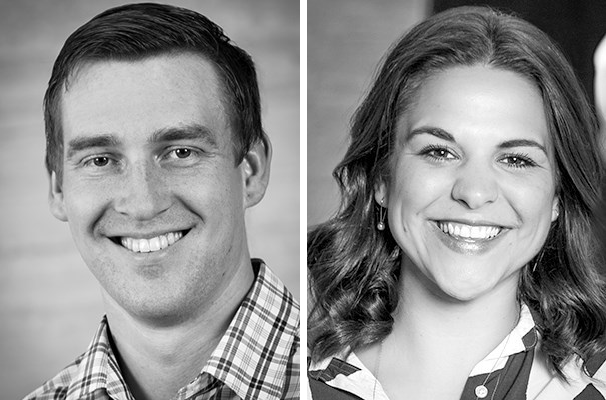 Ryan and Amy are both very excited to serve A&M Clubs all over the world. If you see either of them around at a Club event, be sure to say Howdy and get to know them! You can find a brief bio on each of them here. 2019’s First Muster Held At A Cradle Of Texas History Musters range from April 12 to as late as April 29 this year. 2019 Buck Weirus Spirit Award Winners Named Honor goes to those who make an impact on Texas A&M.